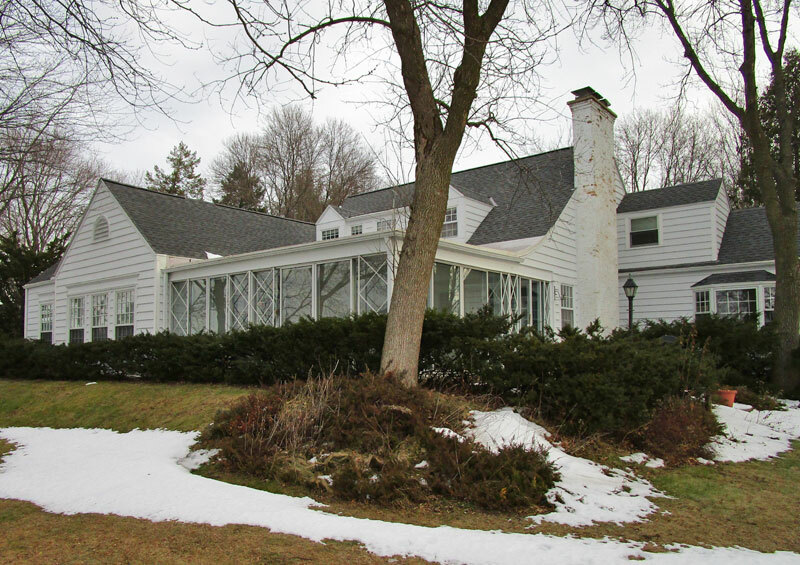 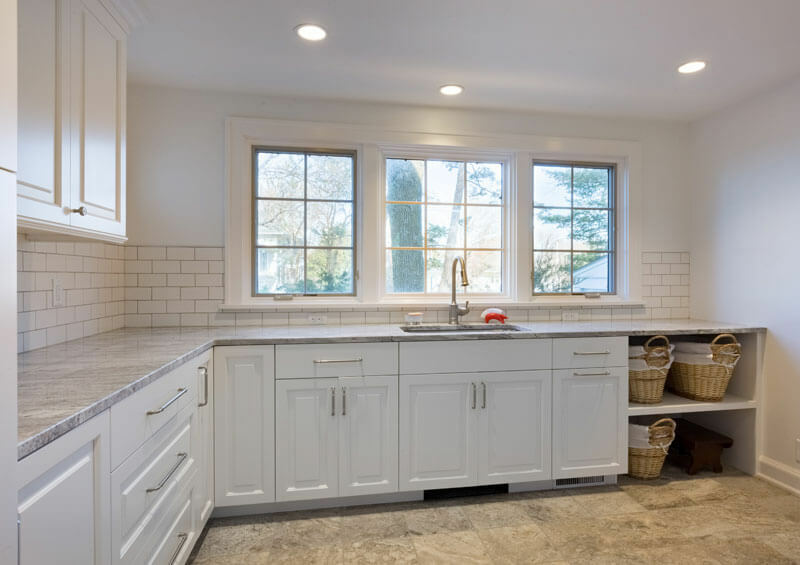 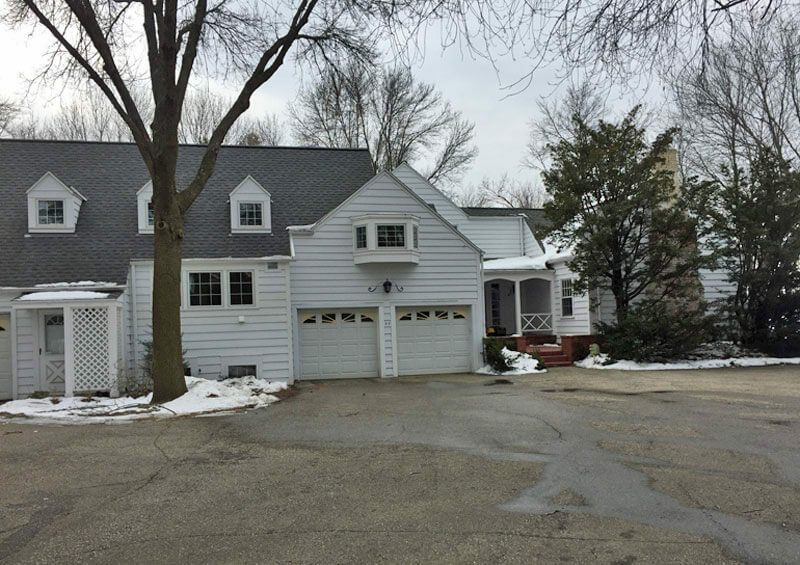 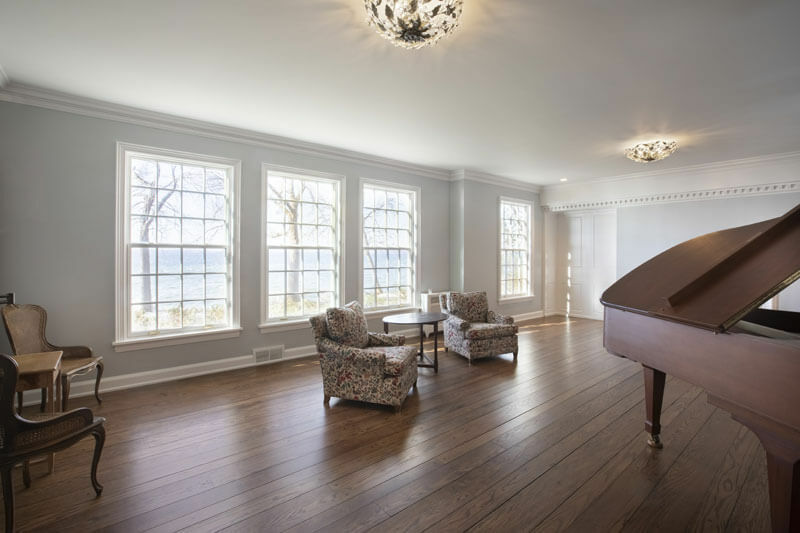 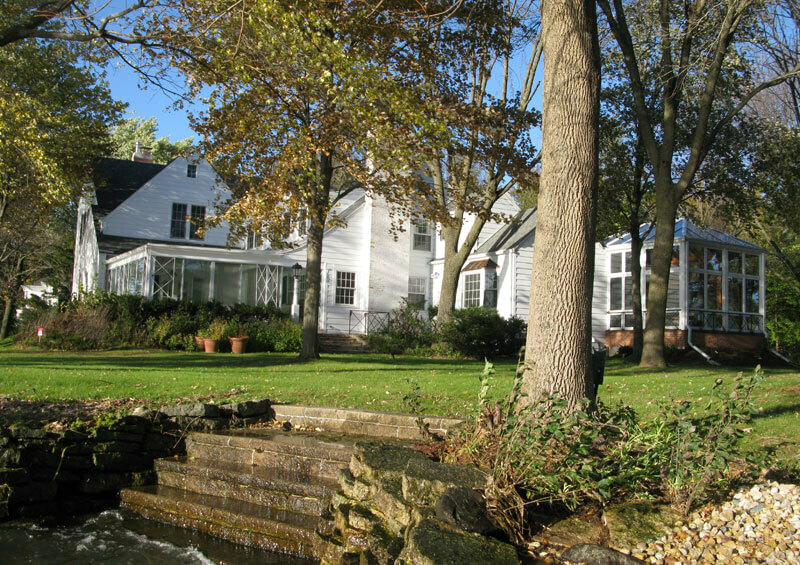 Third-generation owners of a home occupying the entirety of a secluded peninsula on Lake Mendota sought a large scale remodeling contractor for an extensive historic renovation and two distinct additions that would stand a century before more work would be needed. 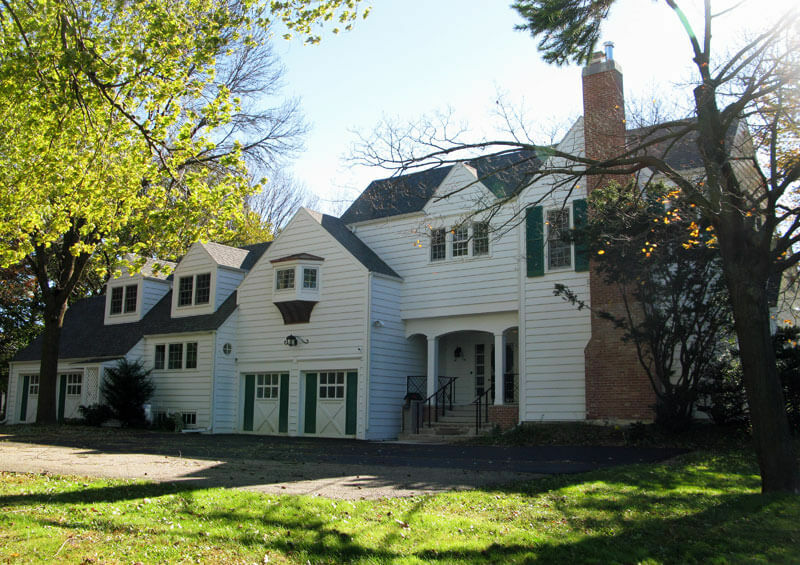 The 1930s home, located in the Village of Maple Bluff, was originally designed and enlarged by prominent Madison architect Frank Riley. 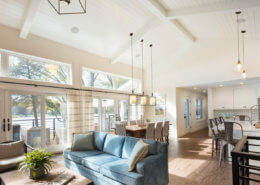 The applied expertise of Vive Home Transformations resulted in a very livable, fully remodeled sanctuary. 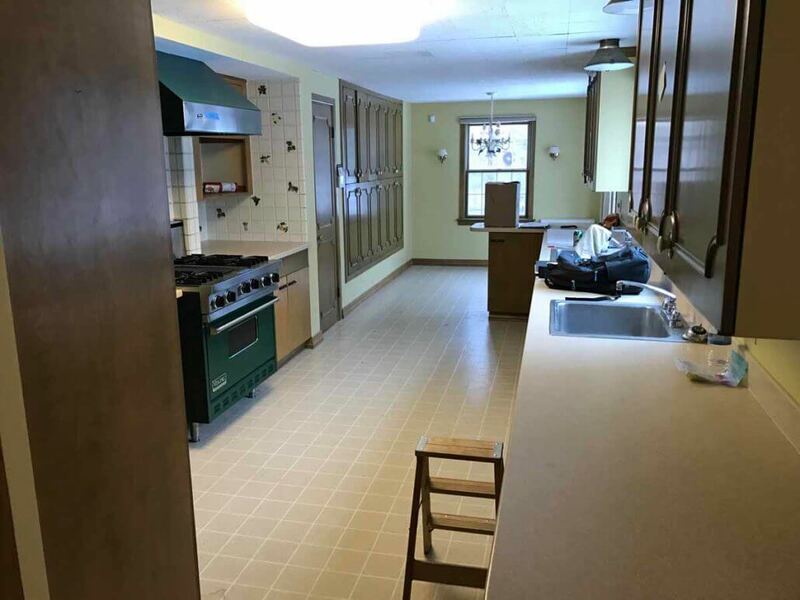 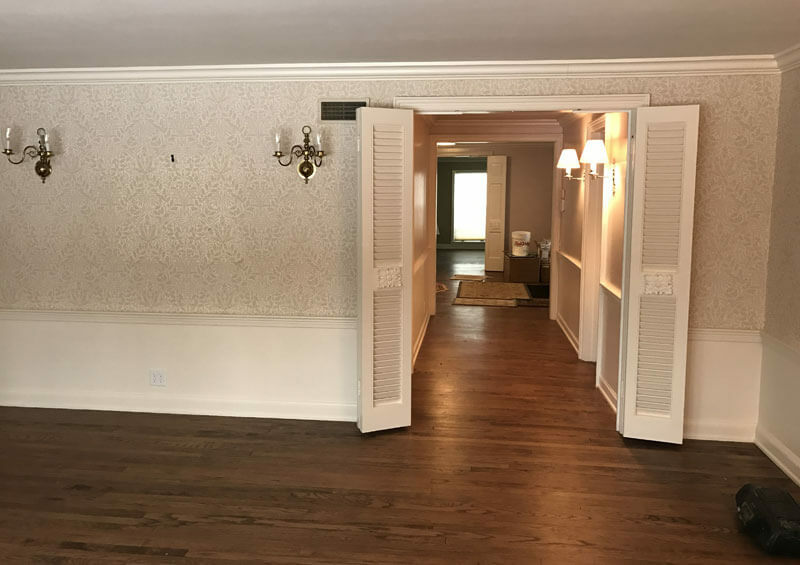 In the process, 13,000 square feet of plaster was removed, original finishes were sealed for protection, and significant structural work was completed for safety and support. 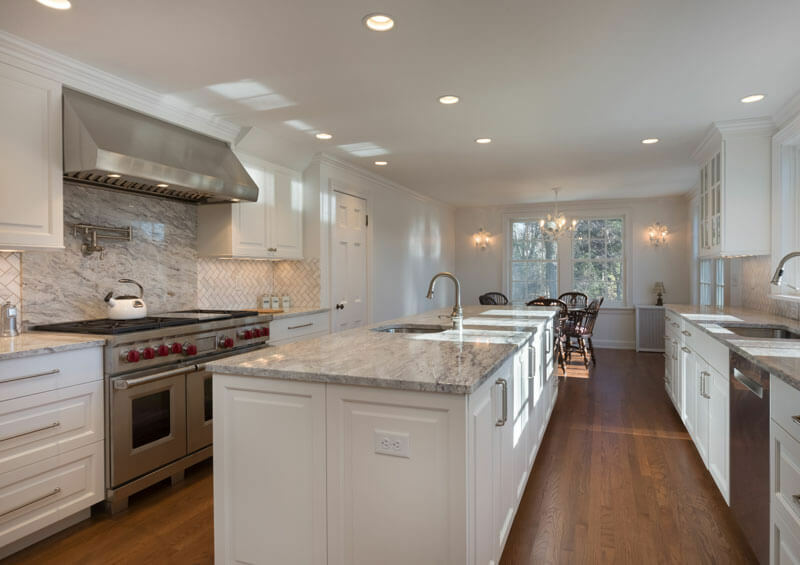 The home’s now 8,500 square feet encompass a master suite extension plus six other bedrooms, seven bathrooms, and a new conservatory addition, ensuring the home’s functionality for generations to come. 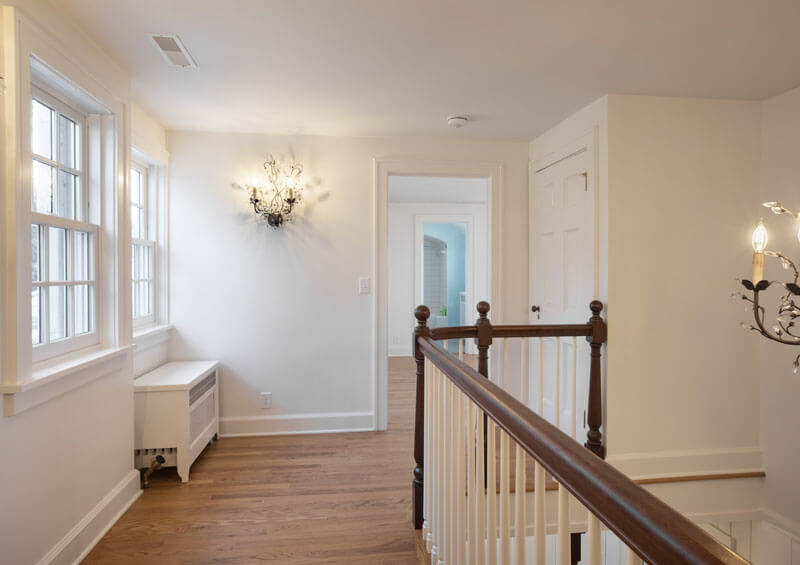 Vive transformed a portion of the front porch into a stately entrance hall that sets the tone for the whole-home renovation. 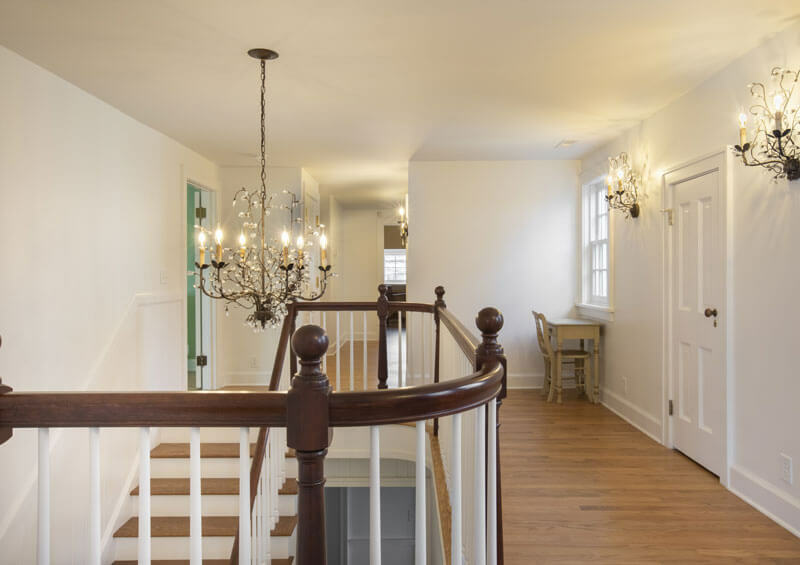 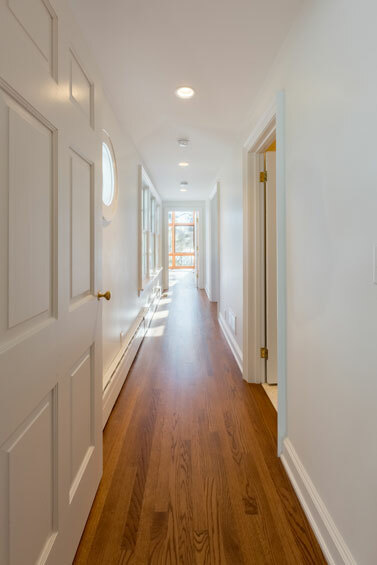 A crystal chandelier floats down from a coffered ceiling, and French doors lead to a freshly painted hallway with new period-authentic light fixtures. 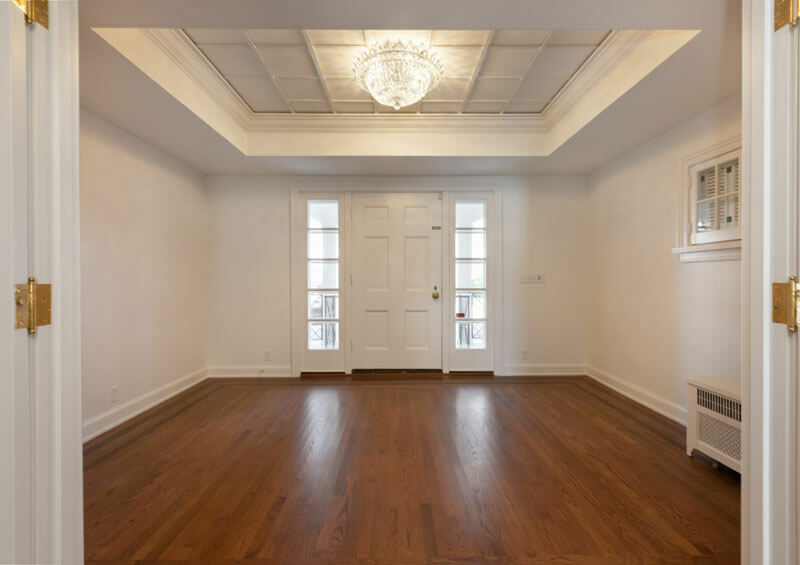 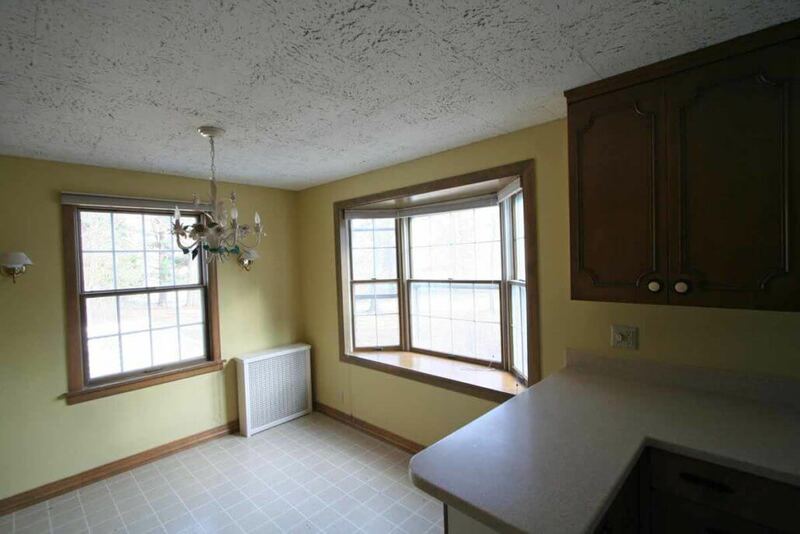 The ceiling in the living room was raised to lend a loftier feel to that space. 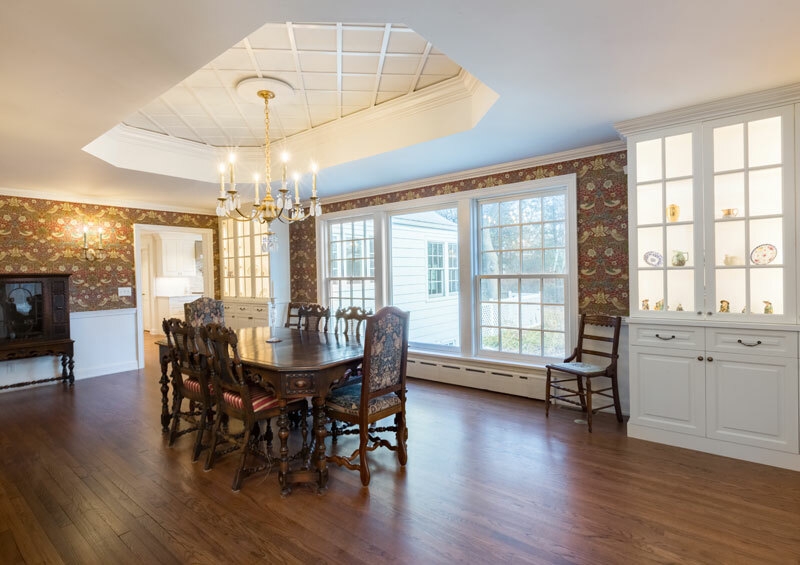 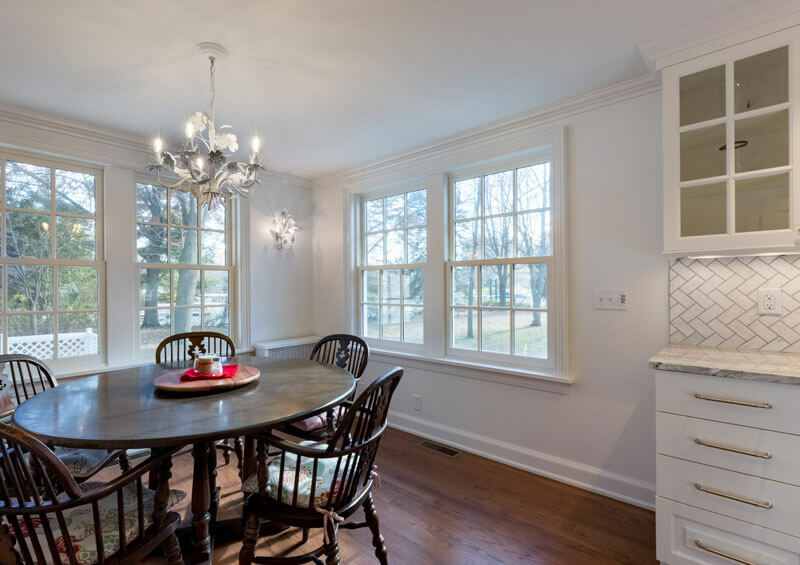 In the dining room, the existing built-ins were removed and replaced with cabinetry in a Nordic White sheen finish, and the window was replaced with a larger one. 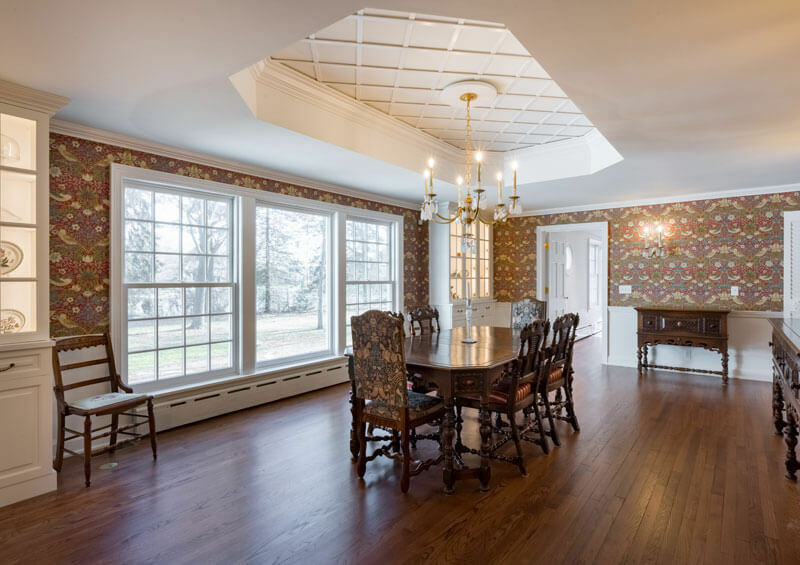 New wallpaper and light fixtures were installed, a portion of the ceiling was raised, and a coffered ceiling and chandelier were added. 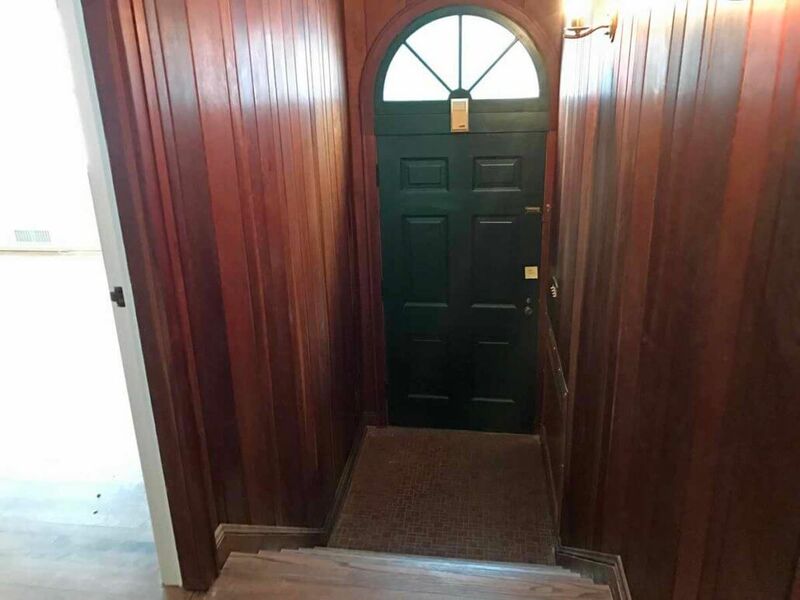 Vive expanded the dining room by removing a wall separating it from a side entry, removing the stairs to the entry, and closing up the entry. 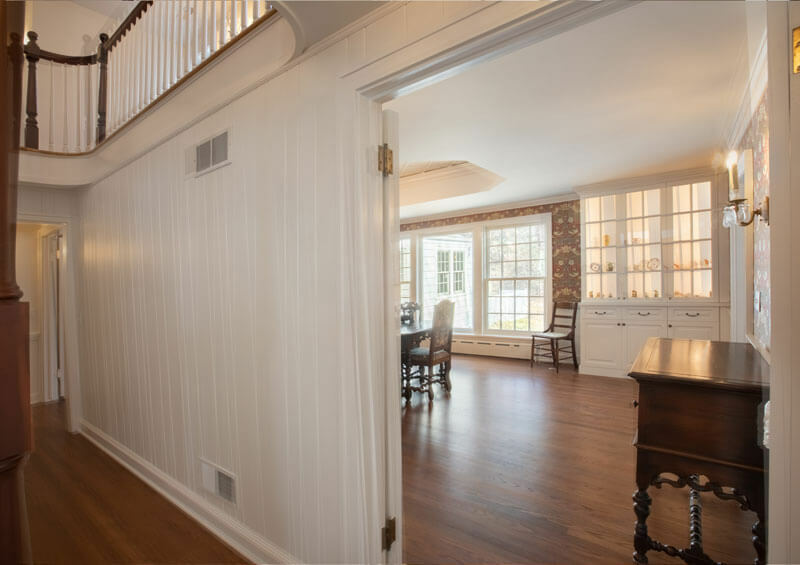 Taking the place of the entry are more built-ins and a hallway leading to the mother-in-law suite and conservatory addition. 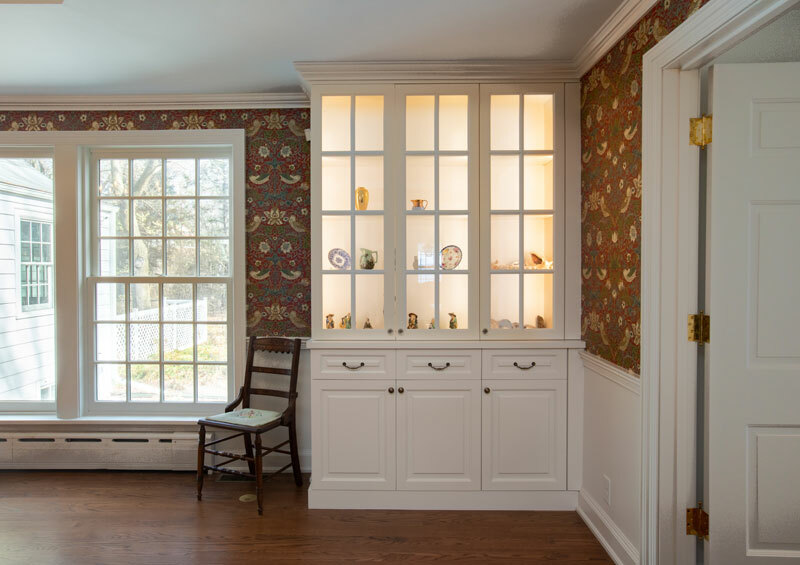 Part of the existing mother-in-law suite closet and bathroom was transformed into a hallway to the new conservatory addition. 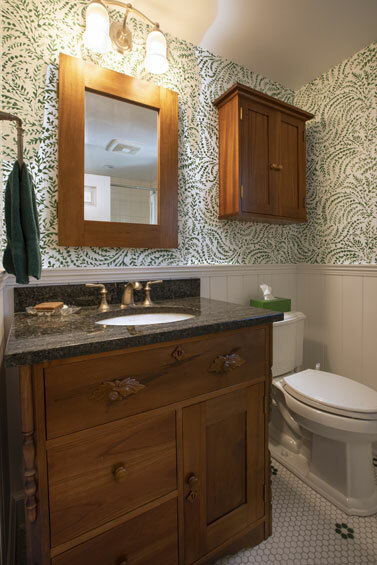 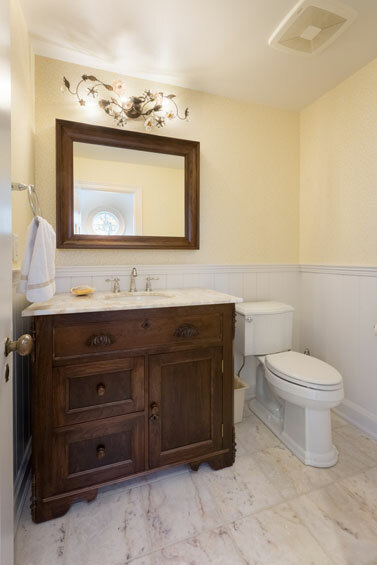 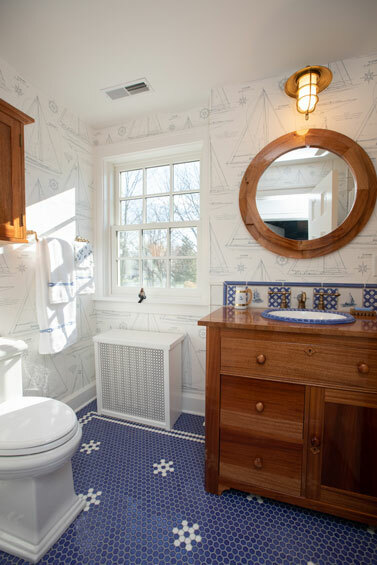 A powder bath was created off of the hallway, the mother-in-law suite was updated and the full bath was reoriented. 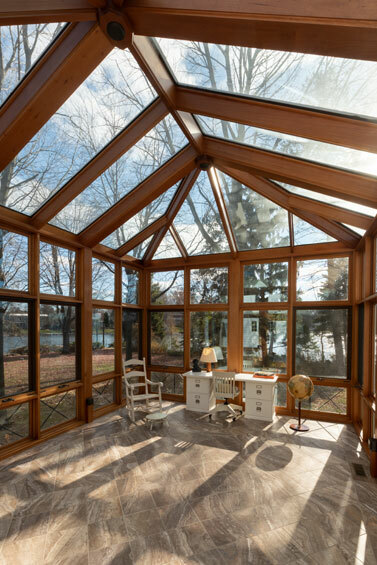 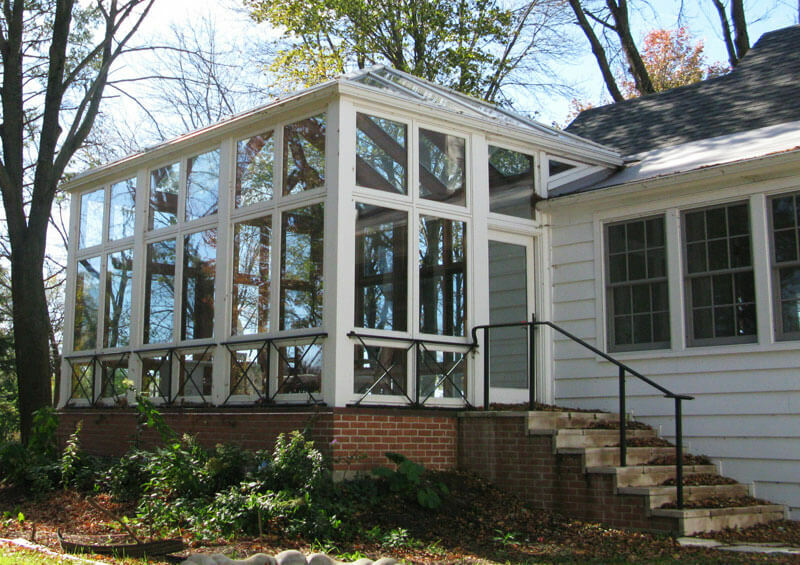 The conservatory features clear mahogany, in-floor heating and an entrance to the side yard. 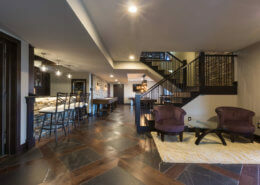 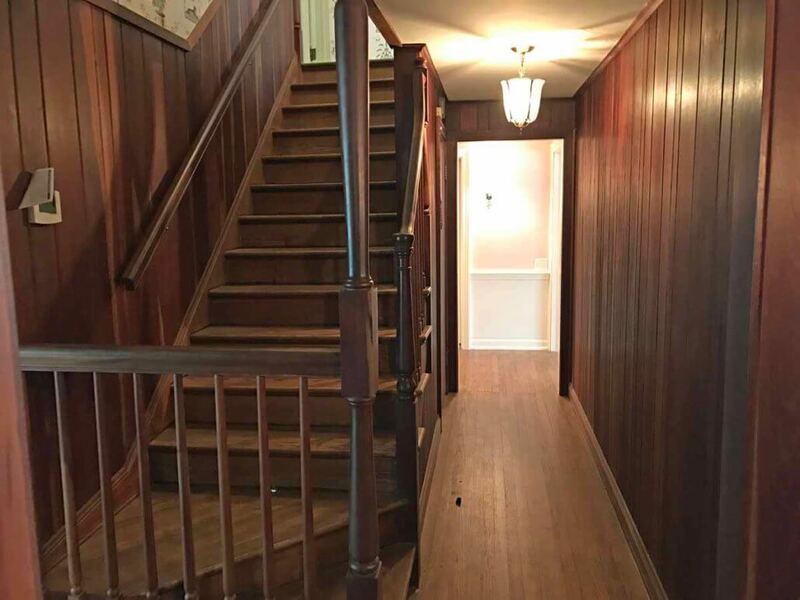 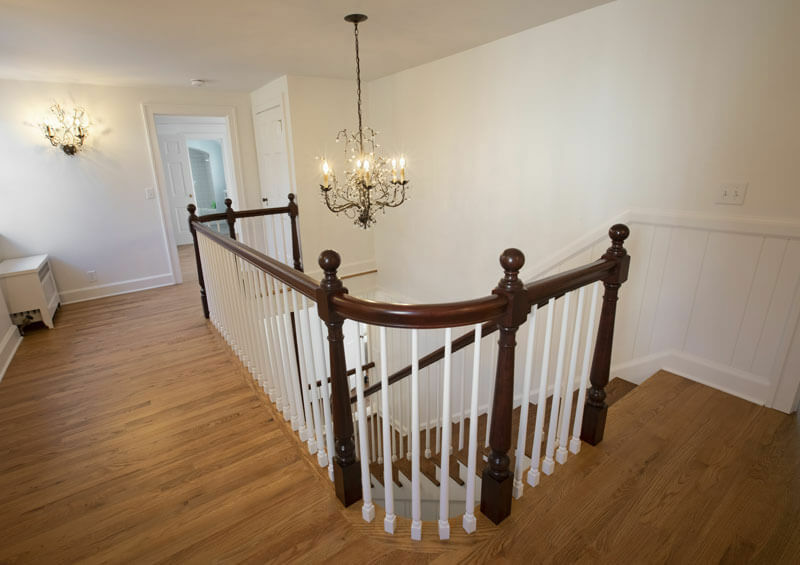 Back in the central hallway of the home, a dark-paneled staircase to the second floor was painted and new railing was installed to brighten the space. 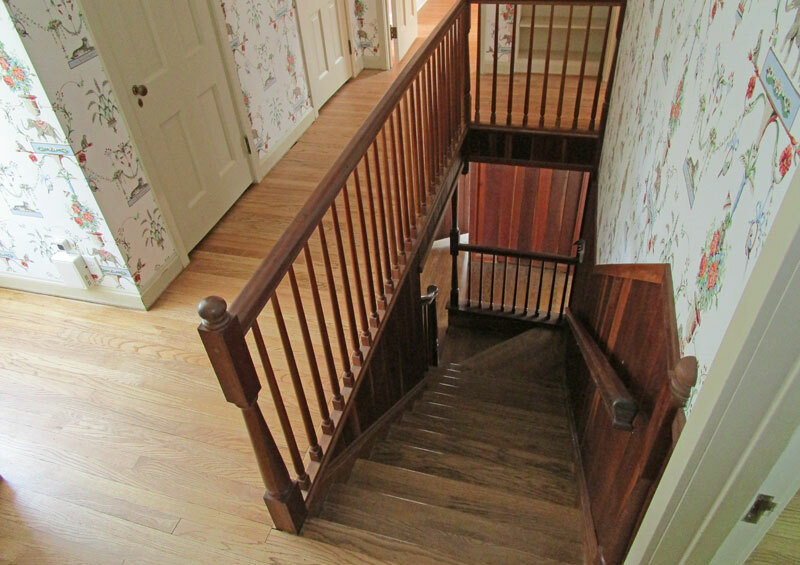 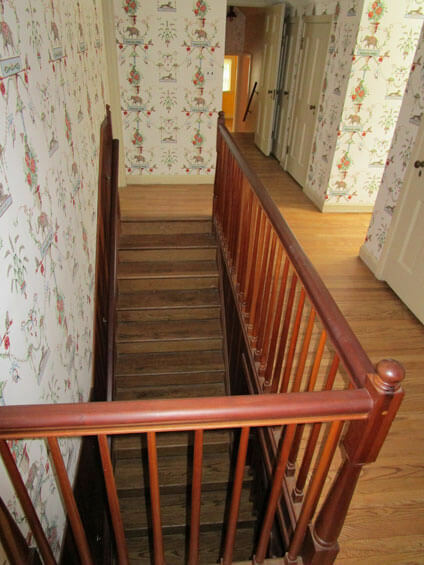 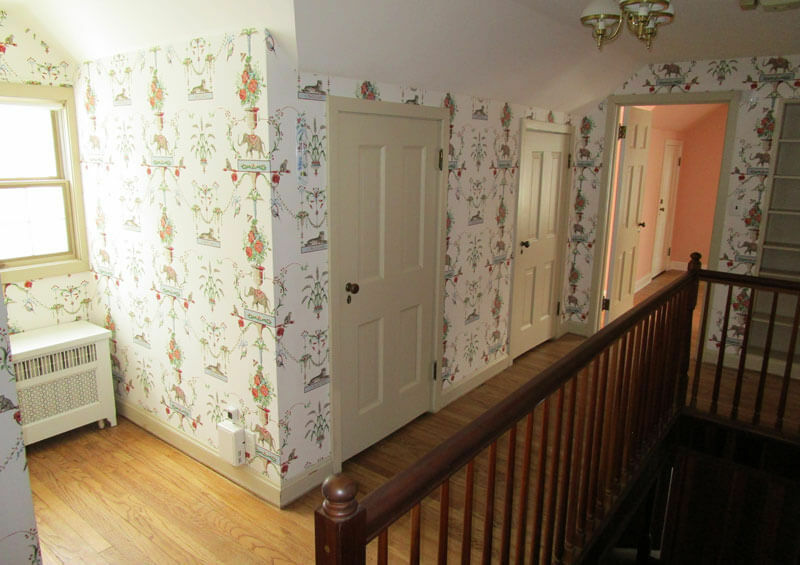 At the top of the staircase, the second floor landing was completely reconfigured. 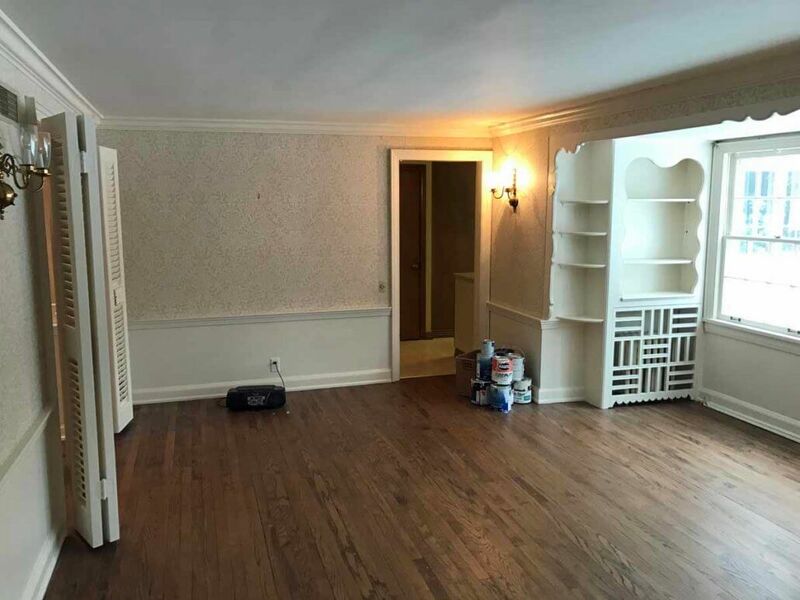 Two closets near the landing were removed to create open space. 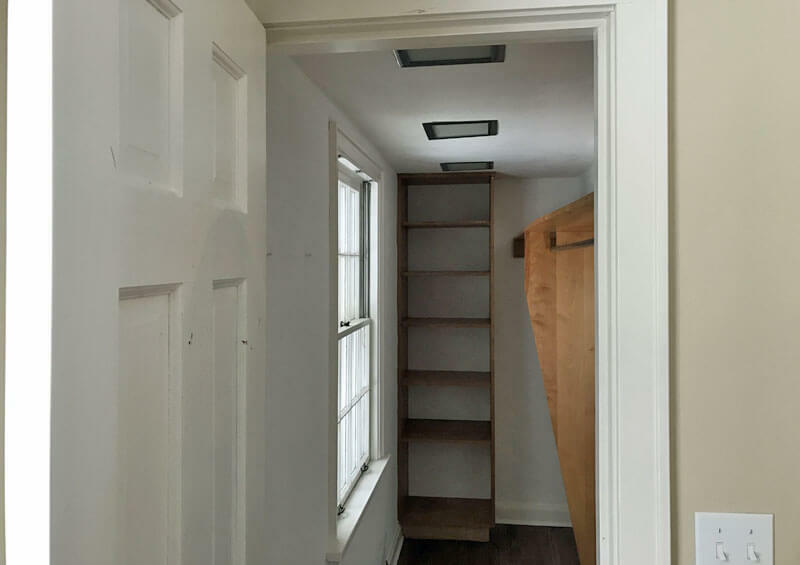 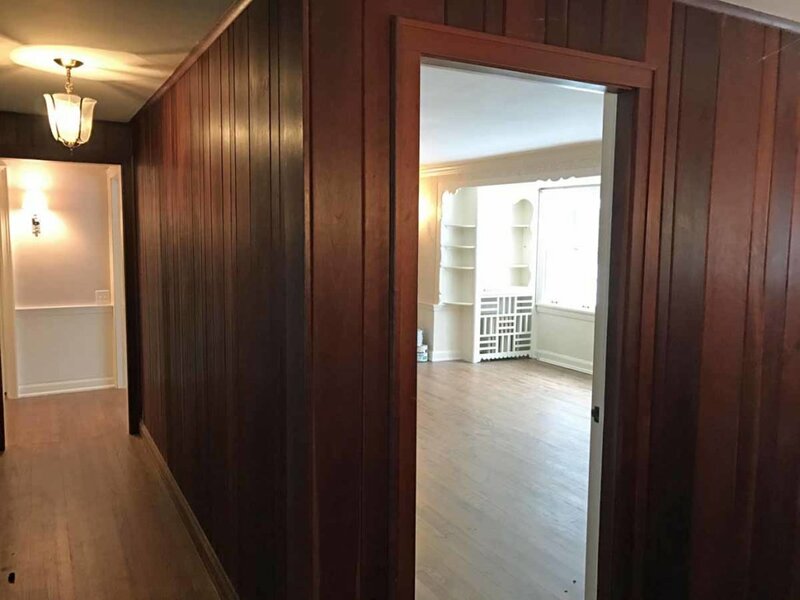 A built-in bookcase and doorway into a suite were removed and replaced with a closet. 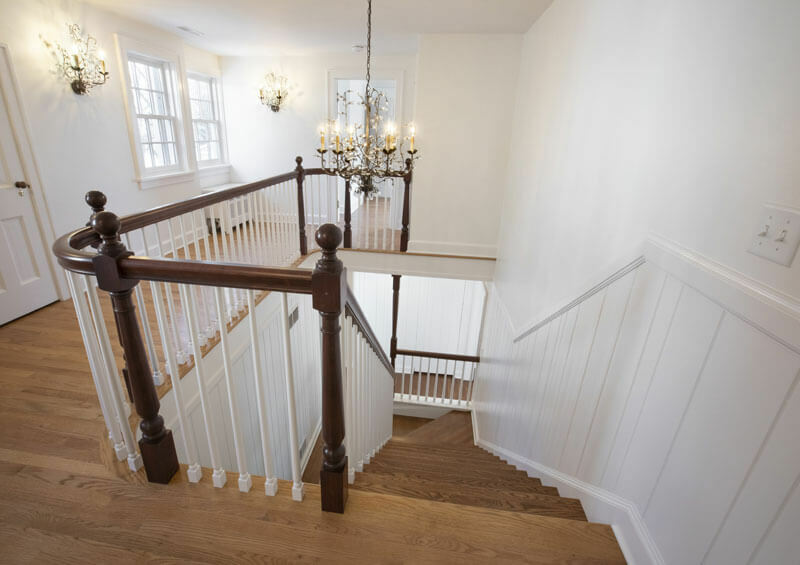 Stairs added in a former addition were removed, and the floor raised to a level consistent with the original structure. 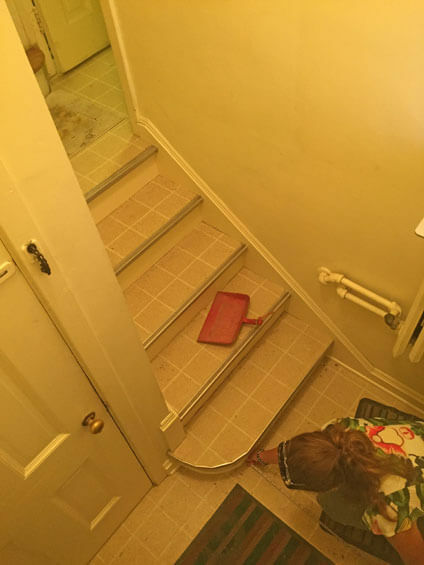 A bathroom located near the stairs was removed to create an opening for the master suite addition. 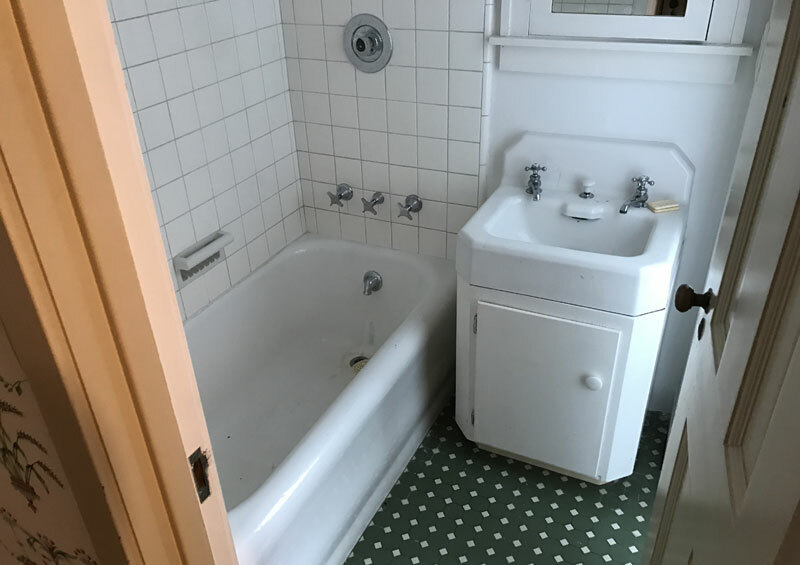 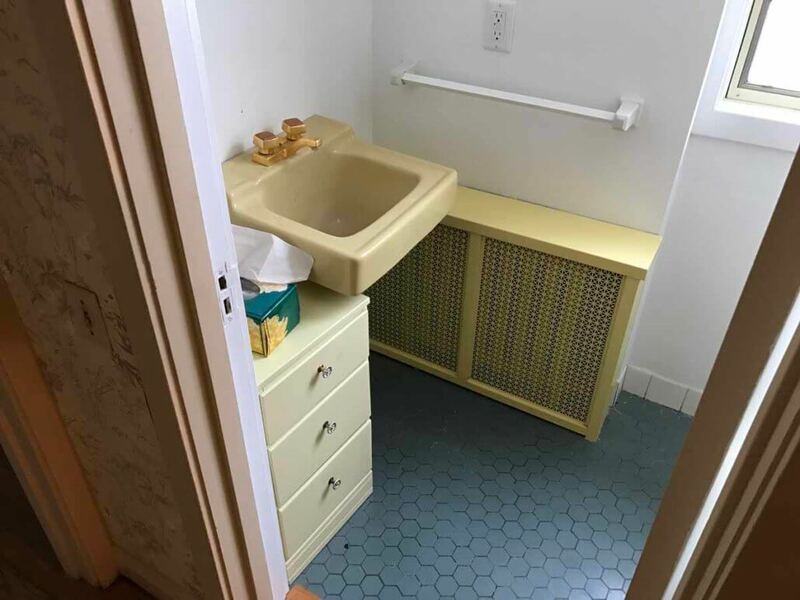 One nearby bathroom was relocated, and another bathroom was remodeled. 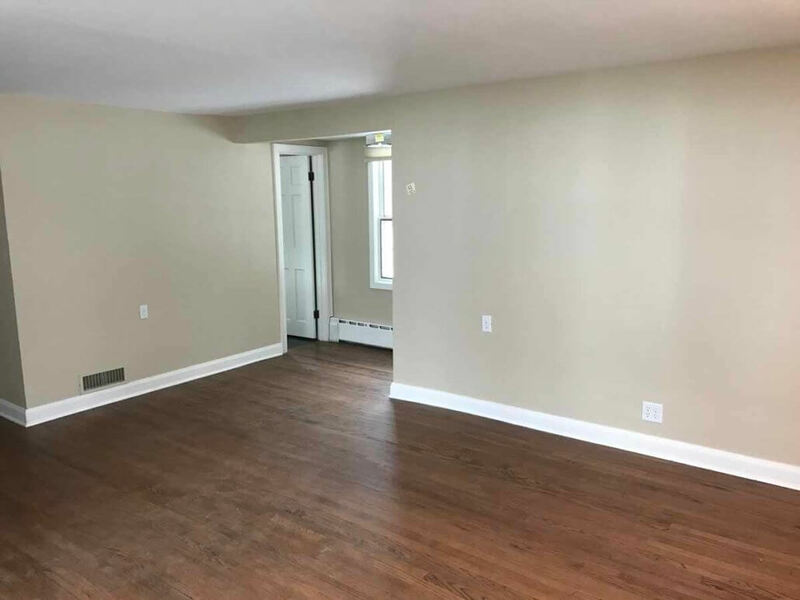 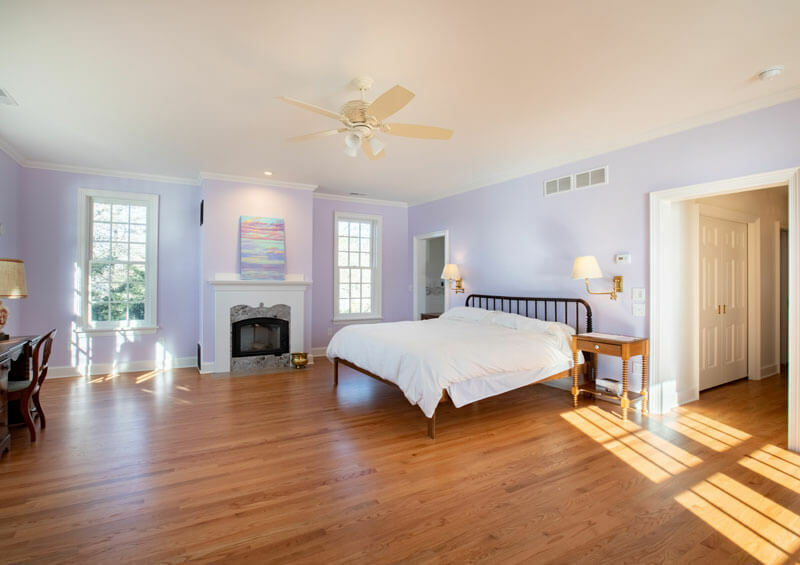 The second-floor master suite addition features a large bedroom with a wood-burning fireplace and purple accents throughout. 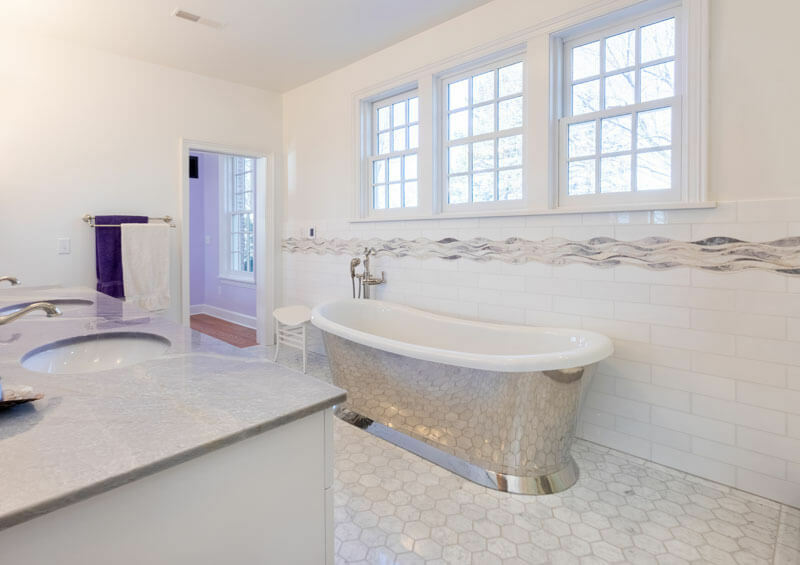 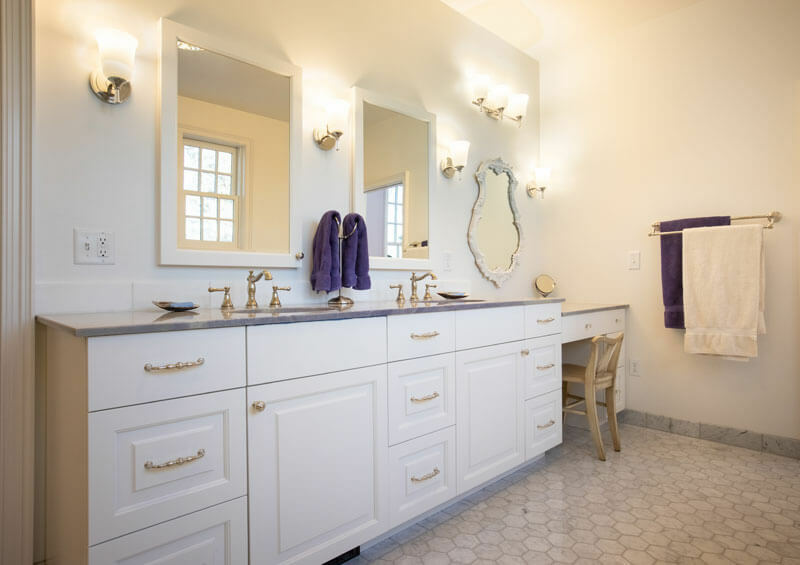 In the master bathroom, cabinetry in a Nordic white sheen is contrasted with purple Quartzite marble countertop. 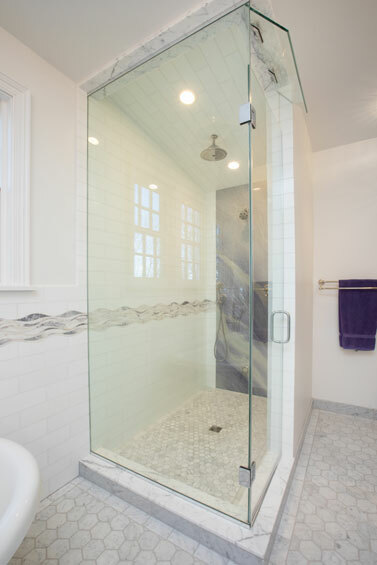 A portion of the marble was also used as a accent panel in the nearby steam shower. 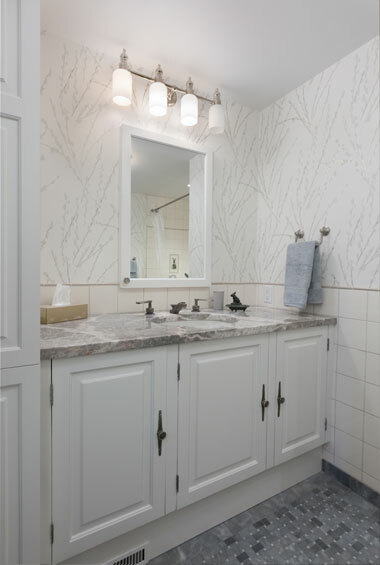 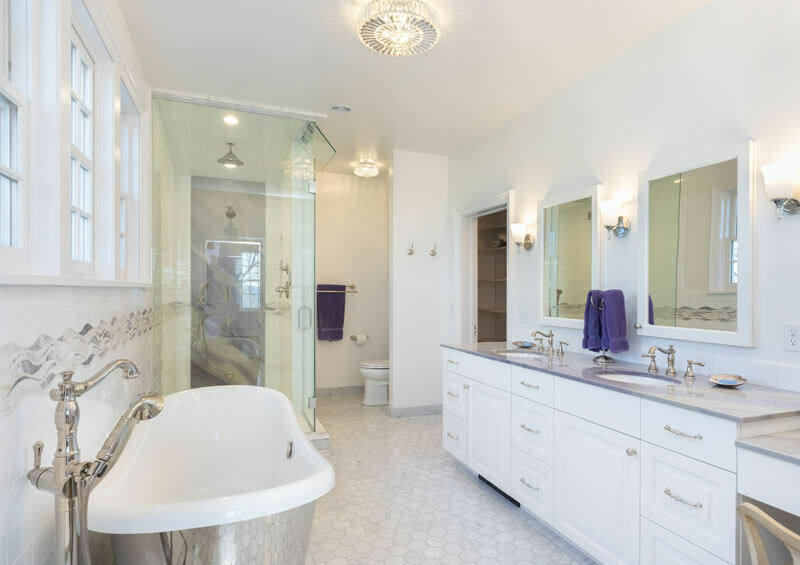 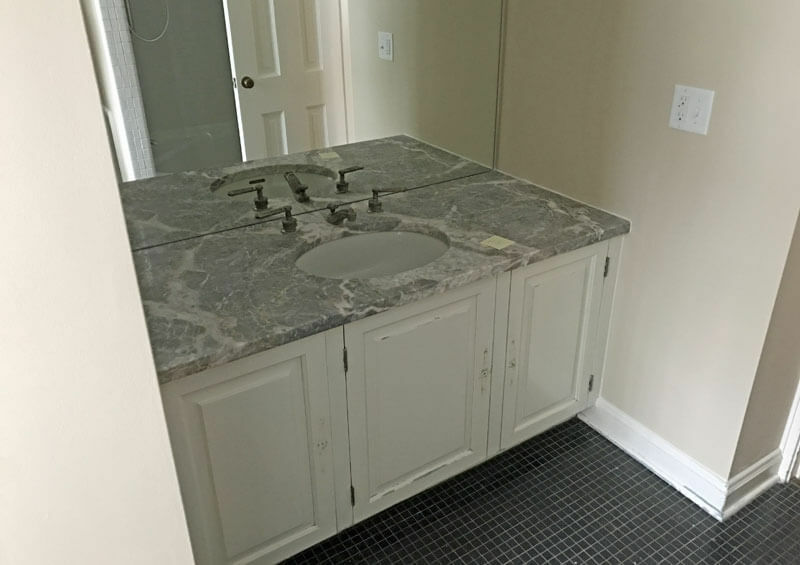 A free standing polished nickel tub sits atop marble hexagonal-patterned flooring transitioning to white subway wall tile with a curved water pattern accent. 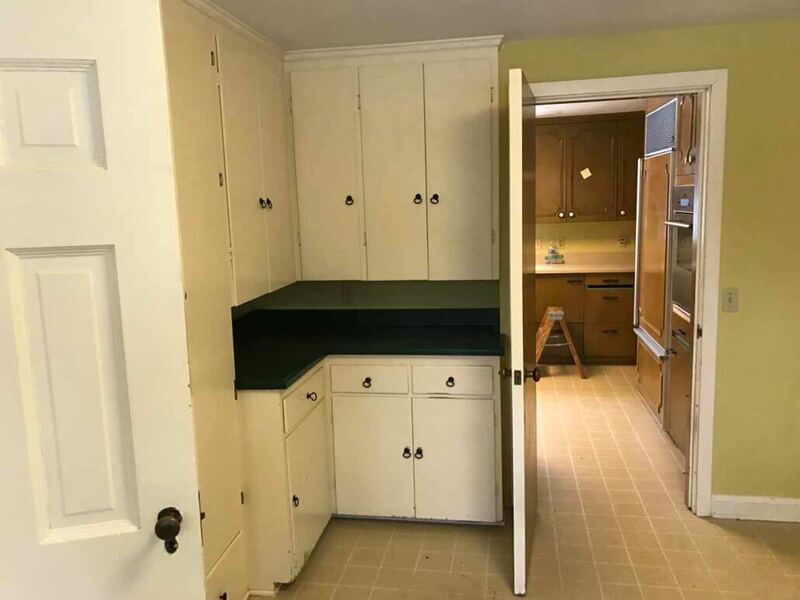 Typical for residential layouts of this time period, the kitchen is located between the garages (yes, two) and dining room. 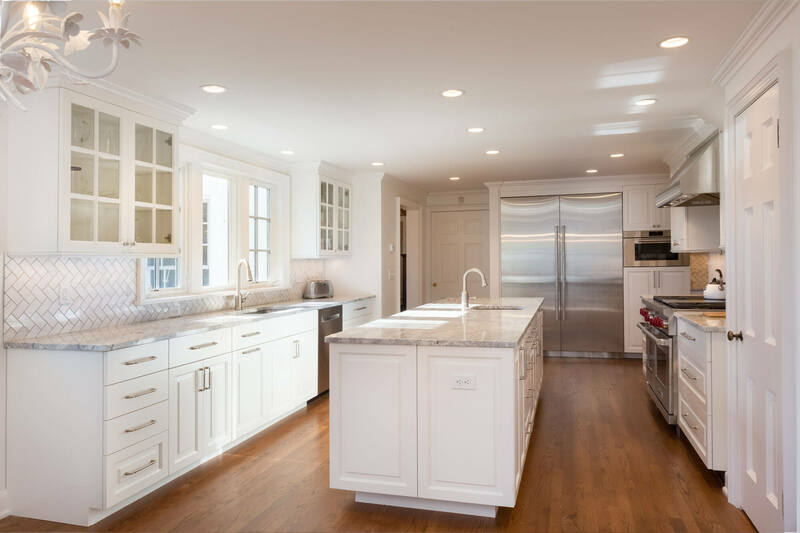 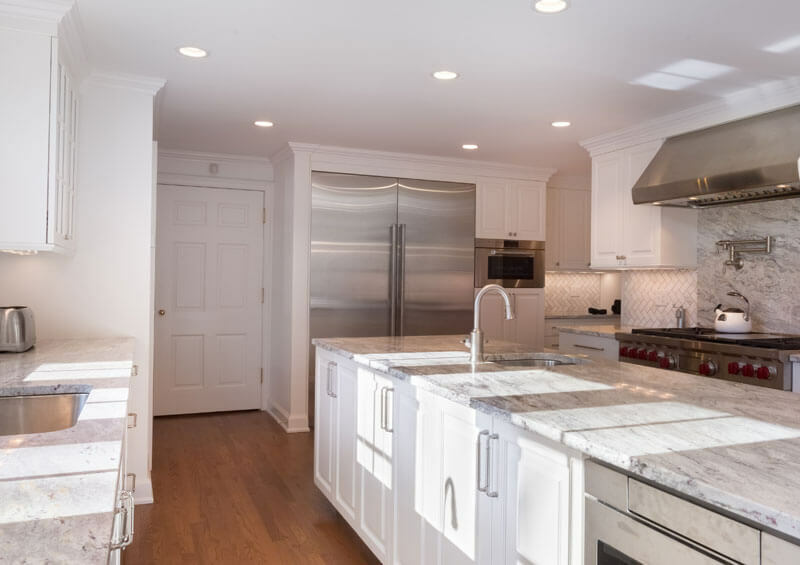 The kitchen was completely remodeled with new cabinetry in a Nordic White sheen, granite countertops, marble herringbone patterned backsplash and Sub-Zero and Wolf appliances. 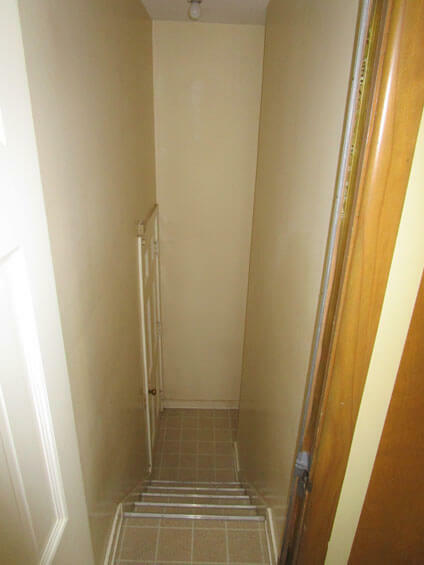 A narrow staircase to the central garage was removed, and the refrigerator was recessed in its place. 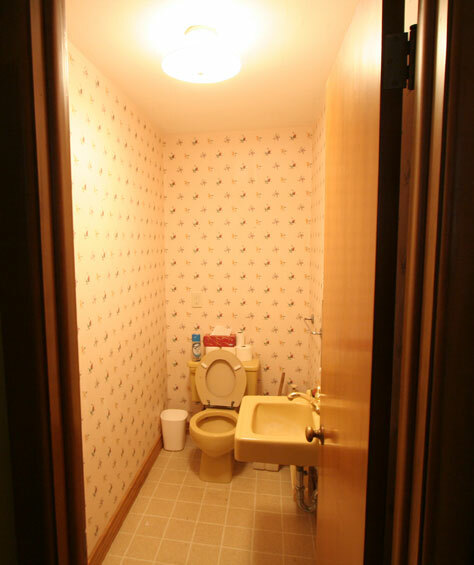 The garage entry was relocated, replacing what was a small powder bathroom. 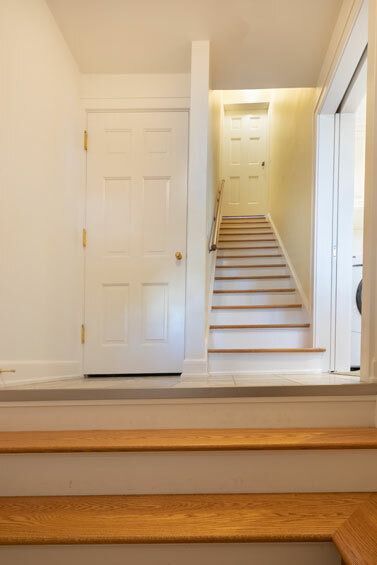 An entrance outside the garage on the left of the home leads to a sunken entryway also accessible from inside the garage. 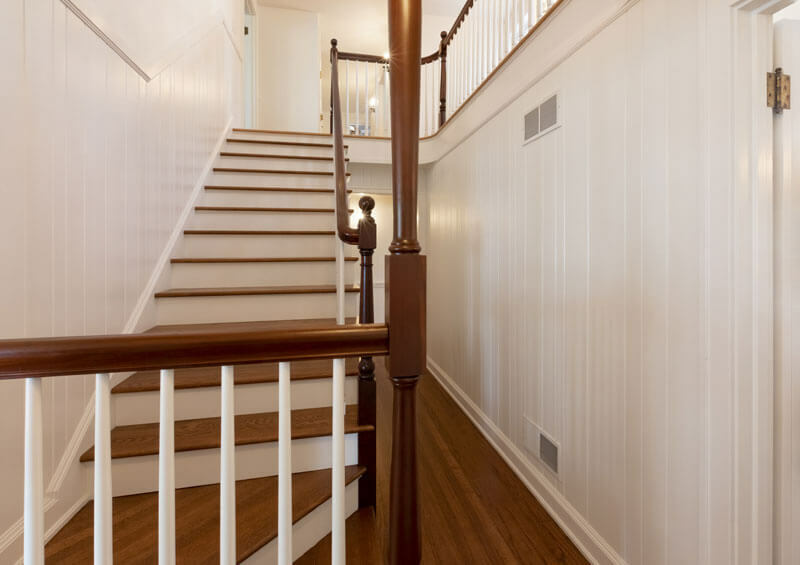 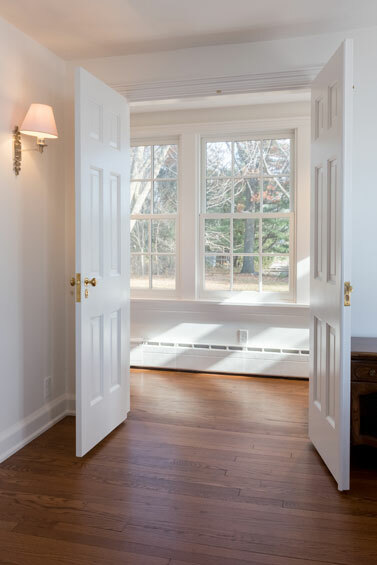 Up a short staircase, past a landing, are stairs to the basement and second floor, and to the right of the landing, a mudroom leading into the kitchen. 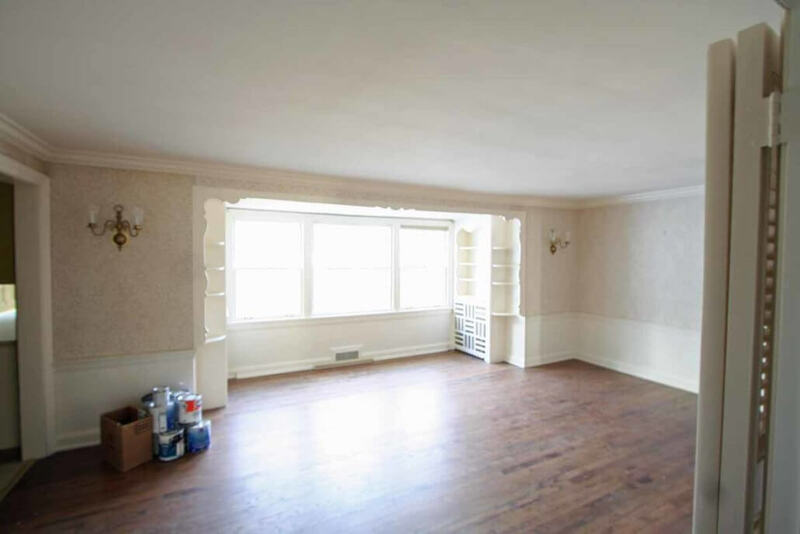 This layout is completely reconfigured from the original. 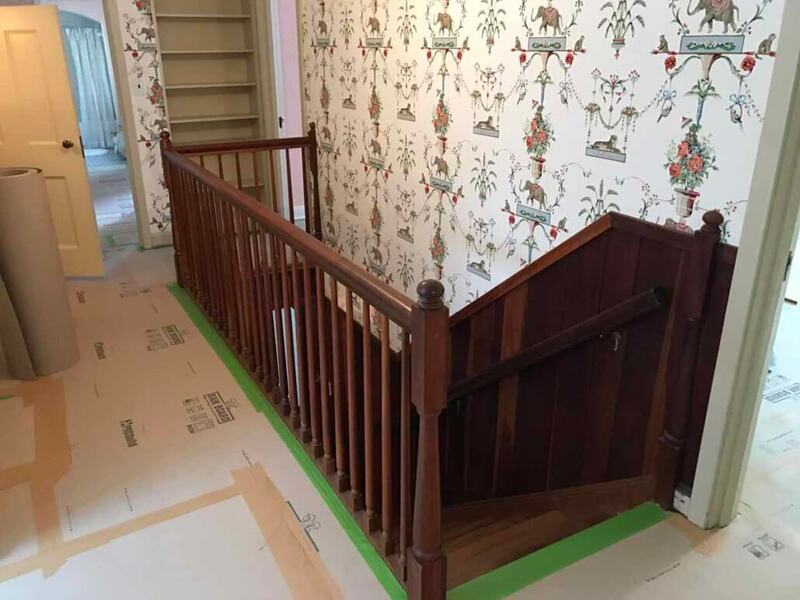 Work included removing the existing basement staircase in order to push it back and widen the landing and entry staircase, at the foot of which a bench seat was added. 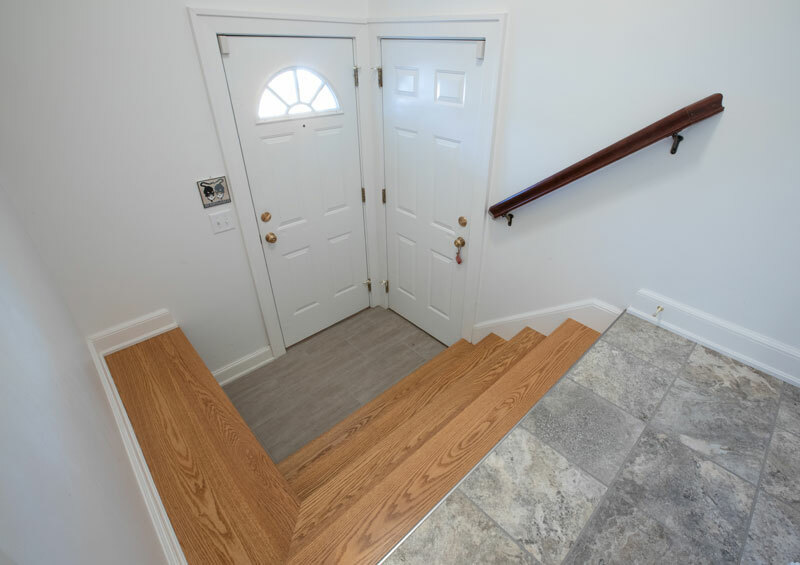 New tile flooring and wood treads are among the updates. 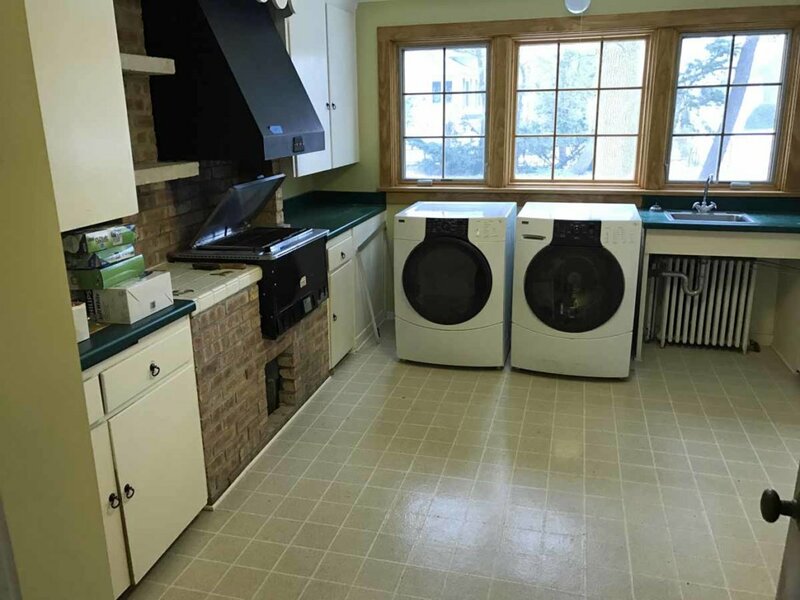 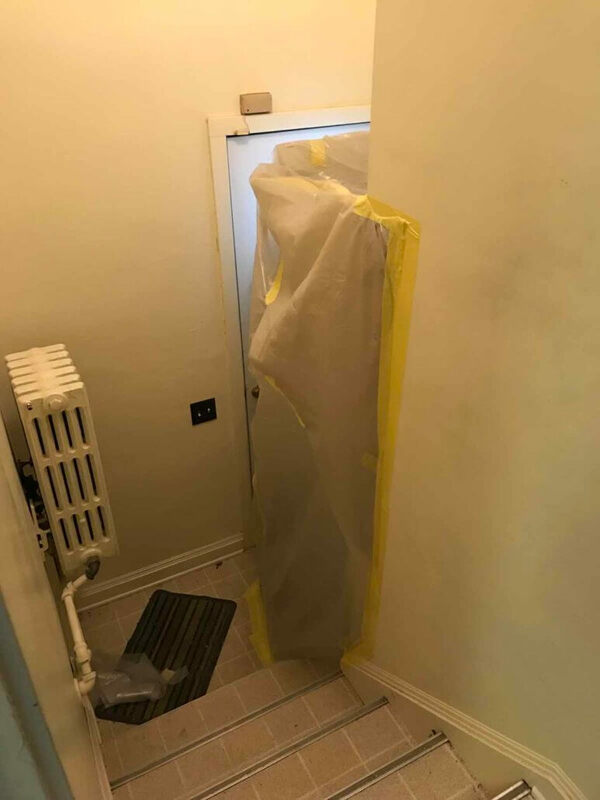 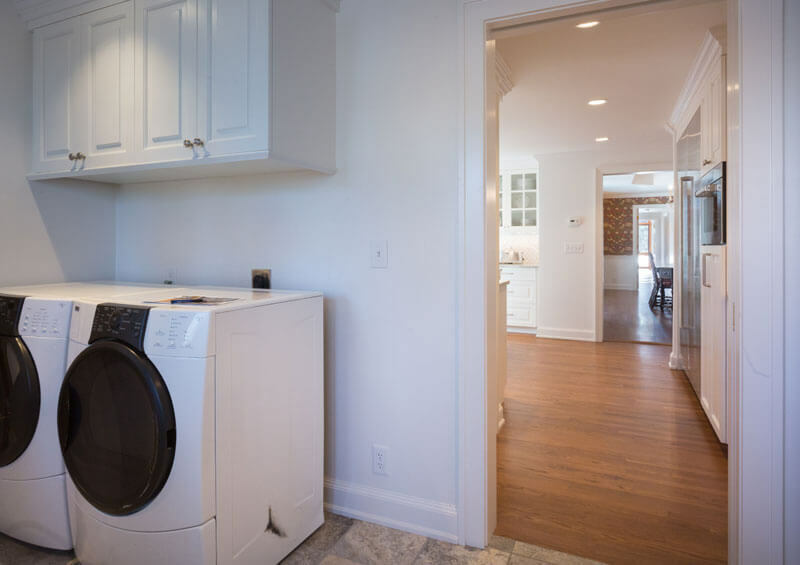 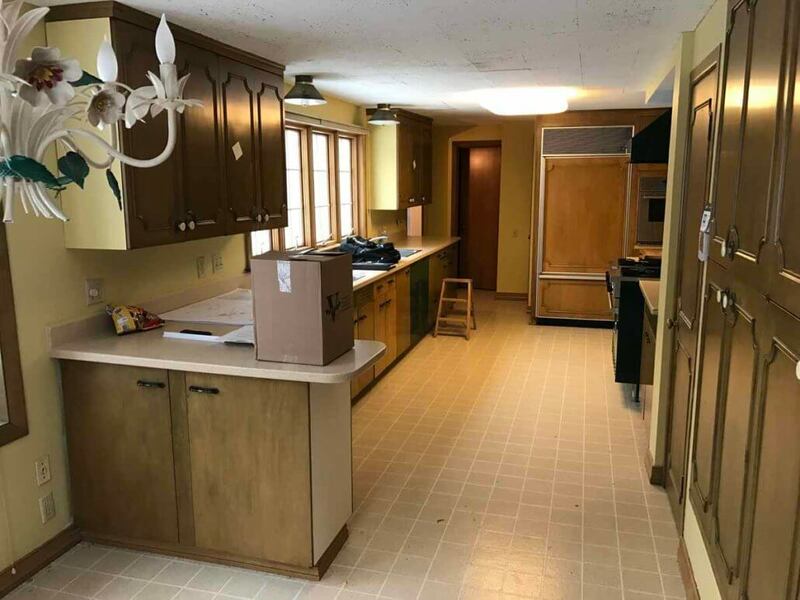 In the mudroom, which also serves as the laundry room, a grill was removed, the laundry was relocated, and the room was updated with new tile flooring, windows and trim. 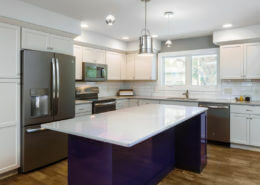 The space features cabinetry in a Nordic White sheen, granite countertops and a white subway tile backsplash. 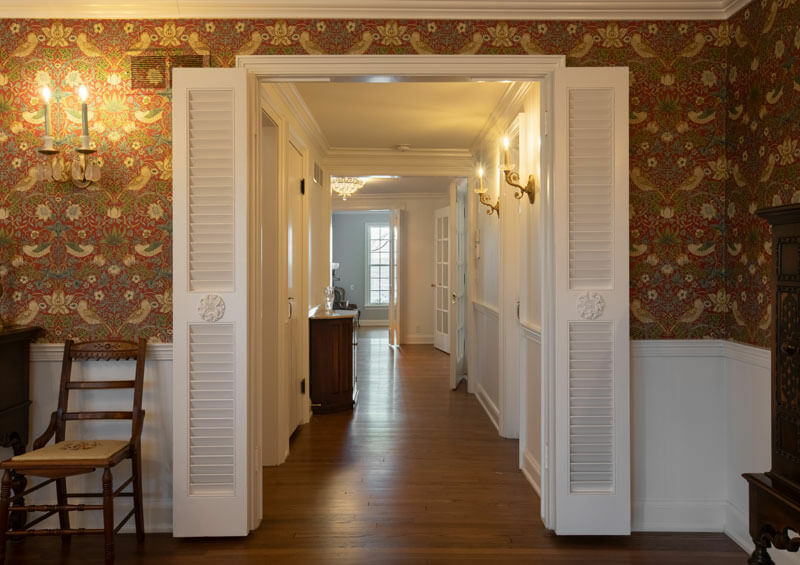 The radiator was replaced with a period authentic cover to match the home’s historic character. 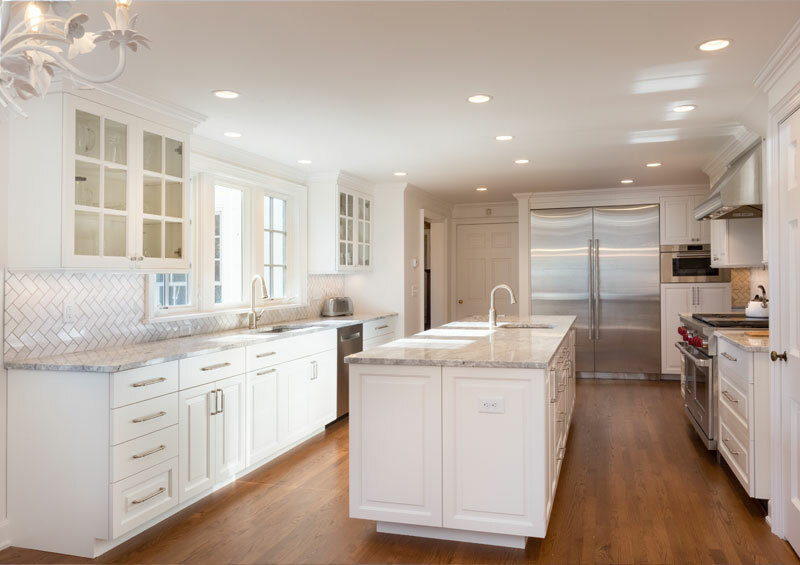 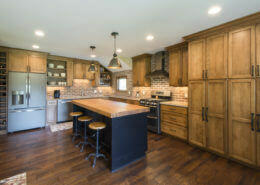 Also notable, but not visible, are full upgrades to mechanical, electrical and plumbing systems throughout the home.